For the last single to drop be4 the self titled Milwaukee Monstaz album , the Monstaz link up with AOTP hook master and Brooklyn Academy Bar smith Block McCloud. 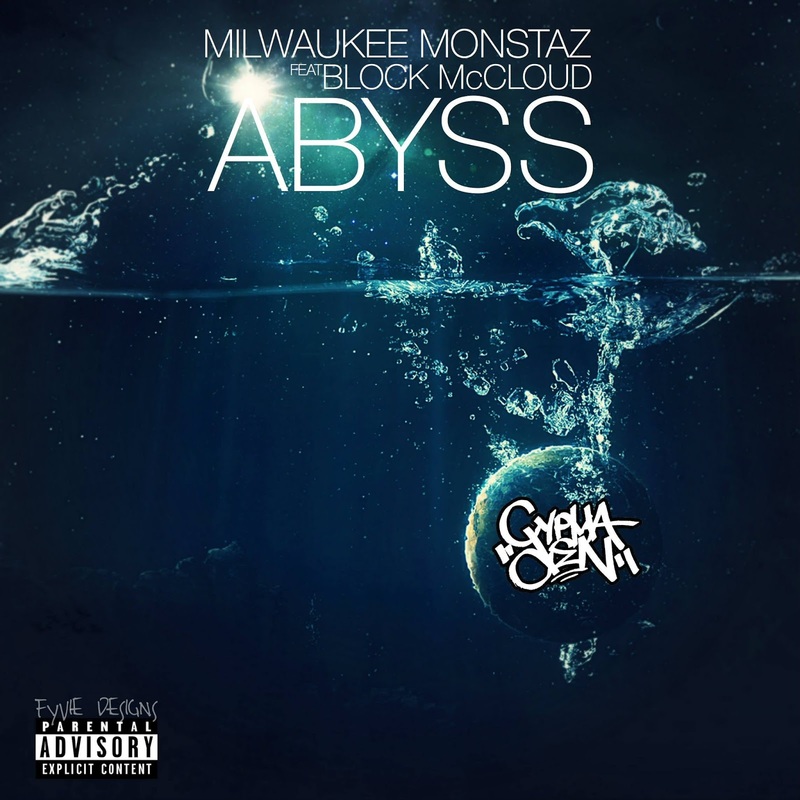 This time Block is not mastering the hook game , on Abyss He is dropping bars. The song starts out with witty lyrics by Taiyamo Denku. He passes the torch to Block and Maximus brings the song home with his unique style. The production on the track is handled by Australian Beat Hitter Dcypha. Go and listen to Abyss. The Duo from Wisconsin of Taiyamo Denku & Maximus Da Mantis that make up Milwaukee Monstaz are back with another single. This time the duo would like to bridge the idea that Dominance of Most Hip Hop rappers or those who feel that they have power is shadowed by their own delusions. They brought longtime Wu tang affiliated vet Baretta 9 of the group Killarmy. So rappers and those who feel they have any type of foothold need to maybe rethink the idea of their Dominance.